We have talked about the outfit Brand New Muscle Cars in the past as they build officially licensed Yenko re-creations as continuation models. This is the next best thing to buying one of the super expensive and rare originals. They also can build you most any other vintage pony or muscle car and you can also specify your own parts if needed. This video made by the Velocity Channel is a behind-the-scenes look at the shop to see how they put these vehicles together. 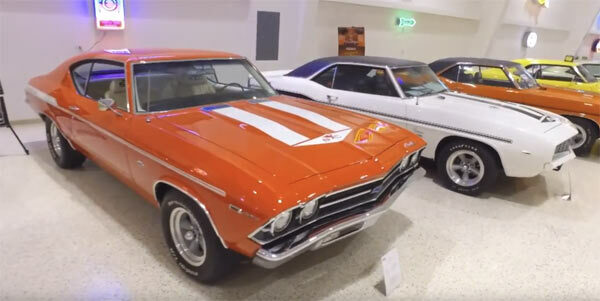 The video is clearly a bit promotional, as all these things are, but it also gives you a bit of back history of the Yenko brand, bits of interviews with ex-employees of Yenko and how some of the vehicles from Brand New Muscle Cars are built from start to finish. You’re clearly going to pay a premium for the recreation of an ultra-rare classic, which is why the guys need to be meticulous with every aspect of the builds. The benefit being you have something with Yenko authenticity, which means it will hold its value if you ever resell. You could take any vintage muscle car and have it restored and fitted out with the same parts, but without the authentication a car won’t be worth as much on re-sale and build quality may not be as good. The video is a fascinating watch if you want to see behind the scenes of how these Yenkos re-creations are put together. If you’re going to watch the video all the way through, skip the first minute as it’s just intro footage.